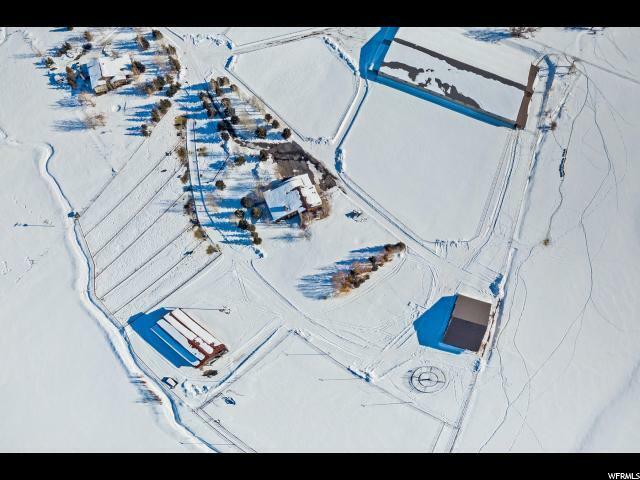 Screaming Eagle Ranch in Kamas/Marion, Utah: 16+ acres located in the picturesque Kamas Valley with panoramic mountain and valley views. 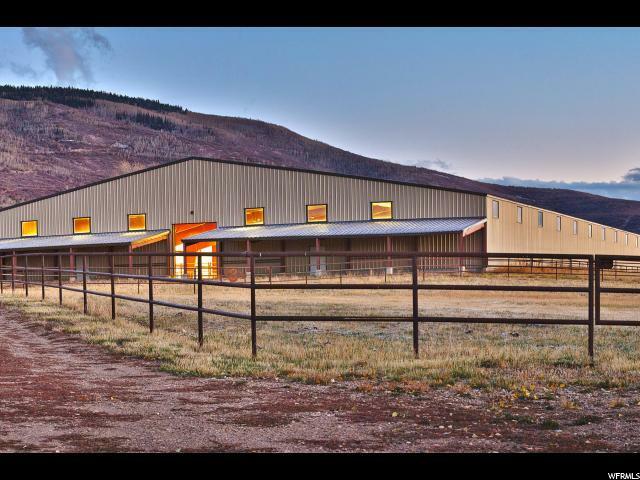 This stunning property includes a top-of-the-line, 42,000 sqft indoor riding area ideal for year-round riding. No expense was spared in the design and construction of this magnificent facility. Features include overhead heaters and lighting, a heated and insulated viewing lounge with kitchen, half-bath, washer/dryer, 4-rail diamond fencing, two indoor pens, two covered outdoor pens with automatic and heated waters, tack room, dedicated septic system and buried propane. 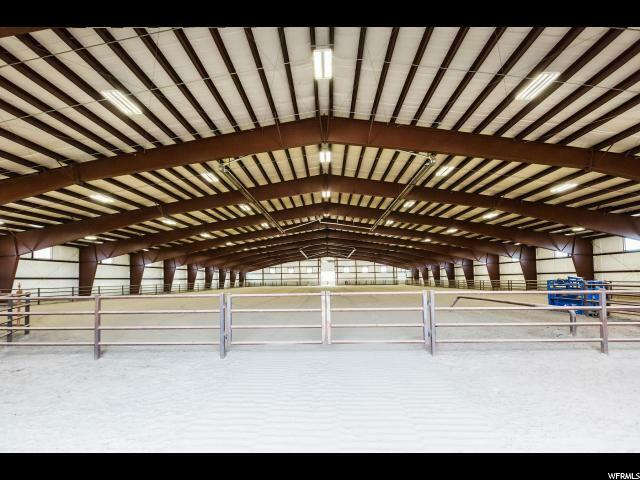 The footing is comprised of 18" hard-packed and sealed decomposed granite, topped with an 8" layer of clay mixture and a top layer of Utelite Arena Blend to minimize dust, caking and hardening, improve drainage and provide excellent footing for your horses. 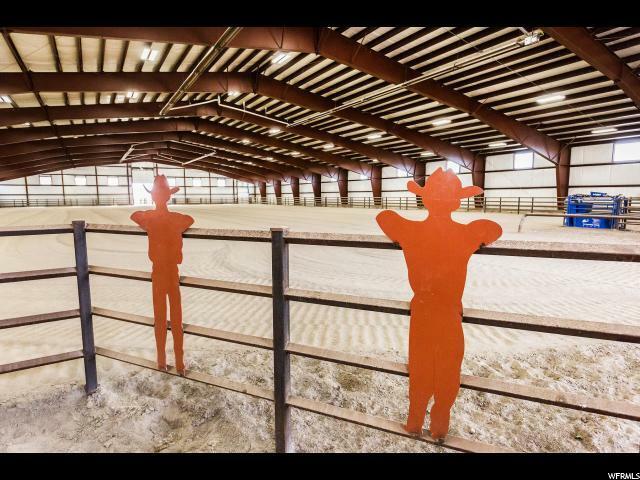 The property has pens and pastures with drill-pipe fencing and a hay-producing pasture. Irrigation and culinary water shares/rights. Ample room for additional structures. Don't miss the opportunity to own this turn-key, fabulous property.